MANATEES ARE BACK! Manatee, Mangrove’s, and Lagoon’s Paddle! Home/MANATEES ARE BACK! Manatee, Mangrove’s, and Lagoon’s Paddle! MANATEES ARE BACK in South Florida NOW through April! 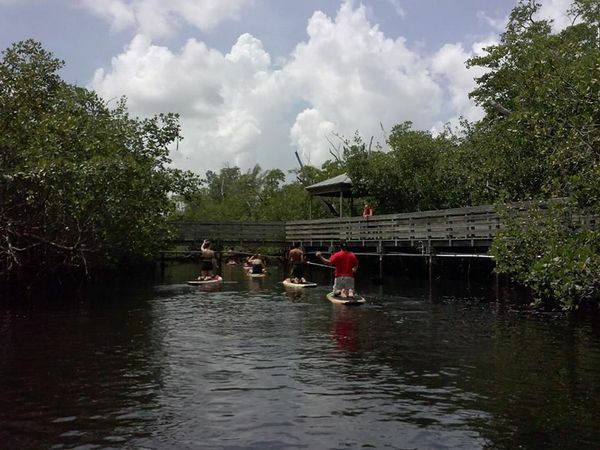 Join us as we explore the Middle River paddling to our 9.3 acre nature preserve and or the ecological sand bar! This beautiful mangrove lagoon paddle or to the sandbar is always a great time. Seeing what the nature aspect Fort Lauderdale has to offer is beautiful. Manatees, Ospreys, Mangrove trails, Coconuts, Blue Heron, Green Heron, Night Heron, Mango Trees, etc! Members get a special rate of Only $32 or $12 if you own your own board, kayak, or any vessel. Call (954) 440-4562 to reserve, please don’t just RSVP. Photos are always complimentary for both of our wonderful paddles!